Happy second day of Christmas friends! I've got an exciting holiday announcement to share with you today! The December class for my Document 2015 series over at Big Picture Classes is ready! CLICK HERE to learn more about this scrapbooking class and what you'll take away from it. This is the final Document 2015 class, and I've had such a great time sharing these classes with you this year! If you're not a member at Big Picture Classes, you can start your free one-month trial membership by clicking HERE. 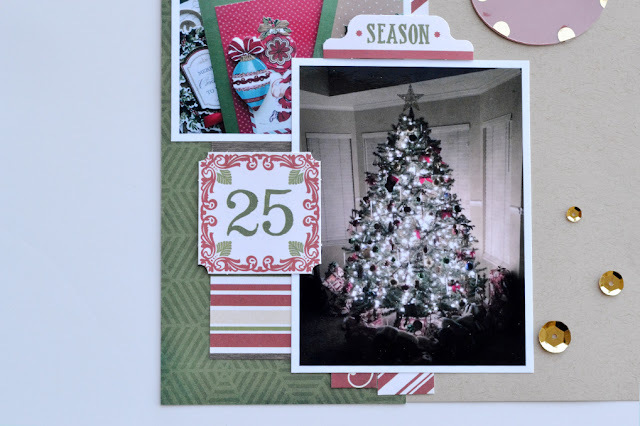 For this layout I captured some of my family's favorite holiday traditions and activities. Often a lot of our December photos include large-scale or group shots, but I challenge students to capture some intimate closeup shots of the details during this final month of 2015. 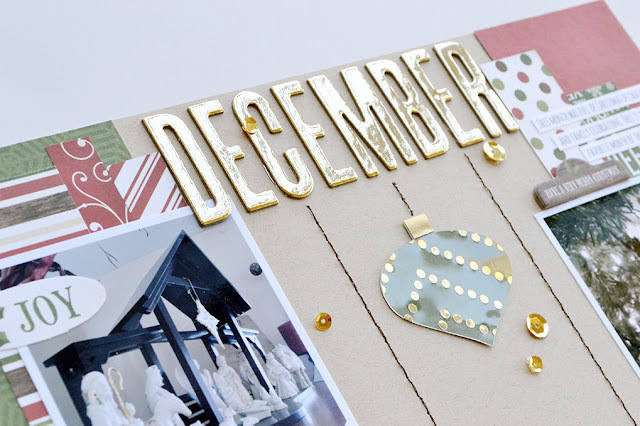 To add some sparkle and shine to my December example layout, I created some DIY ornament accents using my Cameo and some foil printed acetate sheets. You're going to LOVE this technique! So fun. I hope to see you in class.